Dr. Shreya Kangovi is the founding Executive Director of the Penn Center for Community Health Workers and has played an important role in some exciting work within a Philadelphia-area community. Dr. Kangovi first purchased customized hospitalization data from the Pennsylvania Health Care Cost Containment Council (PHC4) in 2012 to be used in evaluating a program in which community health workers (CHWs) provided social support, advocacy, and navigation to low-income patients during their transition from hospital to primary care. PHC4’s hospital admission data was an important component of the randomized control trial conducted to evaluate this program, which found improvements across a variety of post-hospital outcomes. “Health care organizations across the country are faced with a daunting challenge: reduce health care costs while providing high-quality care to the sickest, most vulnerable patients,” stated Dr. Kangovi. Results from the randomized controlled trial, which involved 446 hospitalized patients, are promising. As Dr. Kangovi notes, IMPaCT was shown to improve post-hospital access to primary care, mental health, patient engagement, patient-provider communication and reduced hospital readmissions. The program has continued to grow. In providing an update, Dr. Kangovi notes that Penn Medicine created the Penn Center for Community Health Workers (PCCHW) in 2014 to support further research, development and implementation of evidence-based CHW models of care. Since then the center has grown to 40 full-time employees who provide direct care for 1,500 Penn Medicine patients annually. Featured in the Washington Post, National Public Radio (NPR), and Forbes magazine, PCCHW has garnered national attention. Over 350 organizations across the country have accessed the IMPaCT toolkit for program implementation since February 2014. The center also provides training and technical assistance to a variety of organizations. Dr. Kangovi plans to use PHC4 data for additional studies on multiple chronic conditions. In recommending PHC4 data to others, Dr. Kangovi expressed, “the quality of PHC4 data was very high and the PHC4 staff is personable, thorough, knowledgeable and very responsive.” She notes further that the process of purchasing and analyzing the PHC4 data was simple and affordable. Shreya Kangovi, MD, MS is the founding Executive Director of the Penn Center for Community Health Workers and an Assistant Professor of Medicine in Perelman School of Medicine at the University of Pennsylvania. 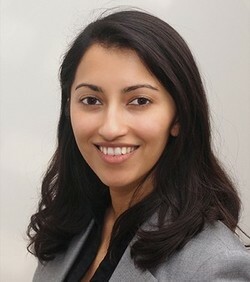 Dr. Kangovi received her Bachelor's degree from Columbia University and her medical degree from Harvard Medical School. She trained in internal medicine and pediatrics at the University of Pennsylvania. She received her Masters of Health Policy Research from the University of Pennsylvania, as a Robert Wood Johnson Foundation Clinical Scholar. Her research examines patient perspectives on socioeconomic determinants of health and healthcare utilization, and the efficacy of community health workers in modifying these determinants. Dr. Kangovi led the community-academic-health system team that developed the IMPaCT™ (Individualized Management towards Patient-Centered Targets) model.